The rapid growth in popularity of electronic books (e-books) has led many traditional publishers in the West to venture into this market. In Asia, the market is still comparatively wide open with many large publishers, such as Gramedia in Indonesia, still focusing on the on-line sale of print books and magazines. 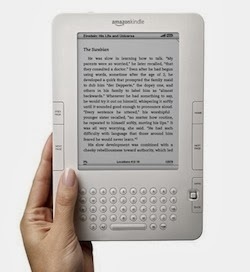 Amazon's Kindle e-books and e-readers are good value for money but are unfortunately not available legally in some domains in Asia. Although I-pads and I-phones are freely available they are expensive. Possibly the biggest digital publisher in the region is I Love Books (ilovebooks.com) which is owned by MediaCorp, Singapore’s most diverse multimedia company with interests in TV, newspapers, radio, magazines and new media. A visit to the site reveals a vast array of e-books from a wide range of categories. Their banner headline states that I love Books allows book lovers to buy their favourite e-books and read them anywhere at anytime on their devices. A new, but currently much smaller e-book store is owned by MPH Digital (mphdigital.my). MPH is a local Malaysian publisher with its own network of retail outlets in both Malaysia and Singapore. From the way the web site is constructed it is only a matter of time before MPH Digital will rival I Love Books for the size and rang of content. In addition, and in line with the practice of their established retail network, MPH Digital will help new authors publish their books. A number of interesting local providers have entered the market and although these are relatively small publishers when compared to international on-line publishers such as Amazon, they each offer special features. Flipside (www.flipsidecontent.com) - their stated goal is to enrich the global electronic reading experience by publishing select Asian e-books while helping other international publishers convert their content to the local language. Their products include: academic and scholarly works; fiction and non-fiction children, teens and adults content and a wide range of local and international comics and e-books from around Asia and the Philippines. They also offer international publications discounted to match the purchasing power of the local market. Papataka (www.papataka.com,) founded by three young entrepreneurs was Indonesia's first web based digital content retailer with a mission to provide a better way to enjoy knowledge by bringing to market e-books and audio books in various languages. They also provide a platform for independent authors to publish their writing through papataka.com. Their collection of books and their network are both growing rapidly and they have a Showroom and Gallery at one of the leading Plazas in Jakarta. They also specialise in producing digital publications with Indonesian content. E Books in Thailand (www.eBooks in Thailand) occupies a special niche in the Thai market by offering a low-cost outlet for e-books with interesting perspectives on aspects of living, working and retiring in Thailand. In addition, the company offers a vehicle for authors to publish their works while they retain full rights. E-Central (www.e-sentral.com) of Malaysia is obviously building its range of content as many of the book categories have only very few books at present. Most of the content is in Malay but there is a small range of books in English. As with the other smaller publishers, above, E-Sentral offers to assist self publishers design, price and upload their e-books. Two other non-publishers have recently entered the market – skoob in Singapore owned by Singtel and ebuuk in Malaysia owned by Maxis, the largest mobile and internet provider in Malaysia. The companies have similar business models offering a range of web-based products that their post paid customers can purchase and pay for at the end of the month through their telephone bill. Both companies are well known for their technical excellence and innovative range of services and sales of high end tablets and smart phones. Because of their dominance in the market they have an excellent chance of maximizing the value of their network in introducing this new range of products and services. However one has to question whether the internal culture and processes of these two companies can be adapted to market and distribute consumer products. It is too early to say how successful Maxis and Singtel will be but anecdotal evidence suggests that Maxis has not yet fully realised the potential of its business model as ebuuk is not advertised on Maxis monthly bills and Maxis has not yet aggressively advertised ebuuk on TV or in newspapers. As the availability of cheap tablets grows in Asia and the price of e-books falls, we can expect almost explosive growth in the availability and sale of e-books in Asia in the near future. ePaper is the most advanced, custom page-turning solution. Providing the Best Security for Your Intellectual Property!